The United Nation’s Centre for Trade Facilitation and Electronic Business (UN/CEFACT) is an e-business standardization body. It is known from its work on UN/EDIFACT and ebXML. 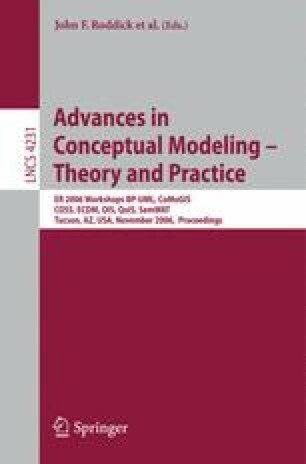 One of its on-going work items is the UN/CEFACT modeling methodology (UMM) for modeling global choreographies of B2B scenarios. The goal of UMM is defining a shared business logic between business partners and fostering reuse of standardized process building blocks. The latest UMM version is defined as a UML 1.4 profile. In this paper we introduce the main concepts of UMM to realize its vision. Furthermore, the paper elaborates on the necessary UML meta model work-arounds we – as part of the specification’s editing team – took in order to accomplish the B2B requirements. Then we propose a move towards UML 2 that eliminates some of those workarounds.